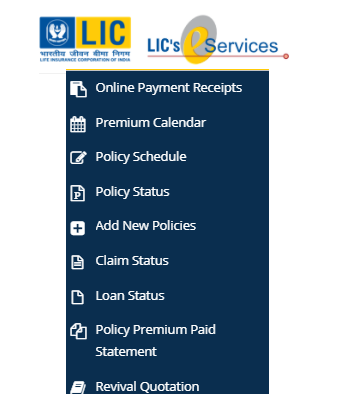 Kindly register to LIC website and provide this policy details.Once correct policy detail with premium is given you can download premium statement. Policy added but I am unable to find the policies when i click on policy premium paid certificate. it showing no data to display. 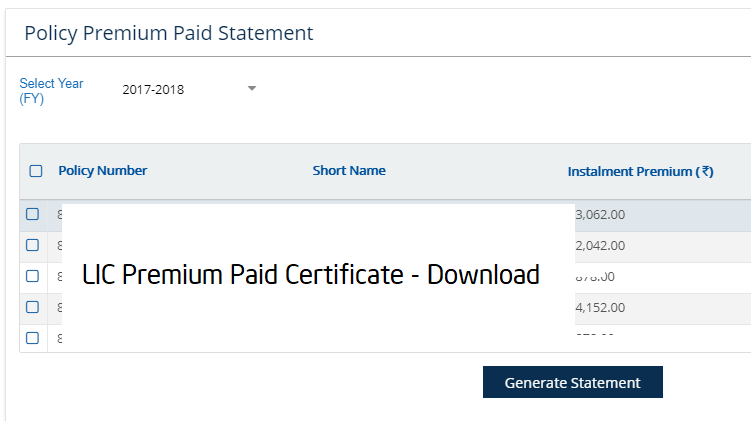 After policy addition you should be able to see premium paid certificate.When you add policies it gives some error message or it adds policy successfully.I could able to add policy and download certificate. After migration of the self-policies into one login, i could not able to find the premium paid statement. It says do data found. Request you to add policies.After addition of policies you will be able to download policy premium paid certificate. I am unable to find the policies when i click on policy premium paid certificate. Pls add your policies after login. Is it giving error or not giving any data.Also confirm policy details are correct.